Every day, a lot of us breathe and live together with music. No matter how tired or stressed we are, as long as there is music in the background everything will be fine. That is why most of us, during the weekends, are usually on the prowl and eagerly looking for the hippest events on our favorite bars and bistros. We are looking for the best music and the best band that plays the right kind of tune to soothe our soul. We look for the best affairs to attend to, but most of the time, we don’t know where to look for the specific line-up in a certain venue. We search for a website that will answer these nagging questions as to where to go, what’s happening, and who’s playing. This is where HeyGarch.com comes in. According to the founder of this start-up website, Carlos Garchitorena, he saw how the events business was so fractured and filled with shameless self-promotion, he realized that, as an outsider, he would introduce himself into the music scene as who he was—a guy who just wanted to discover music as much as one person could. By the end of 2012, he was approached by Jason Torres, Technology Director of Proudcloud.net, which is by itself, is already a launching pad for ideas and projects that creates impact on tech-infused lifestyles. 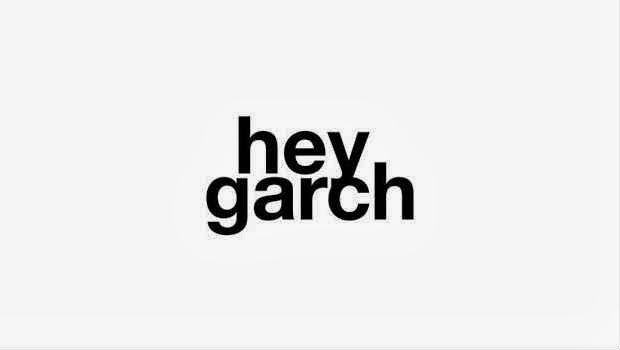 After that, HeyGarch.com was born — a website that creates a list of bands and venues that also serves a virtual tour guide for the live music scene. Today, they have expanded to pursue direction in mobile and print publishing — connecting artists and fans, not only of music, but of film, fine arts, and alternative, experimental acts. The future is wide open as they make partnerships with artists, promoters, and brands in order to push a common goal, to give artists the exposure they need in a platform that is engaging and informative, and above all, trustworthy. HeyGarch has been around for quite some time, and in that time measure, they have solved the simple but not unusual dilemma that us fans have. “Discover the Philippines with HeyGarch.com, where you can find hundreds of events a week and get creative with your friends.” Carlos said.